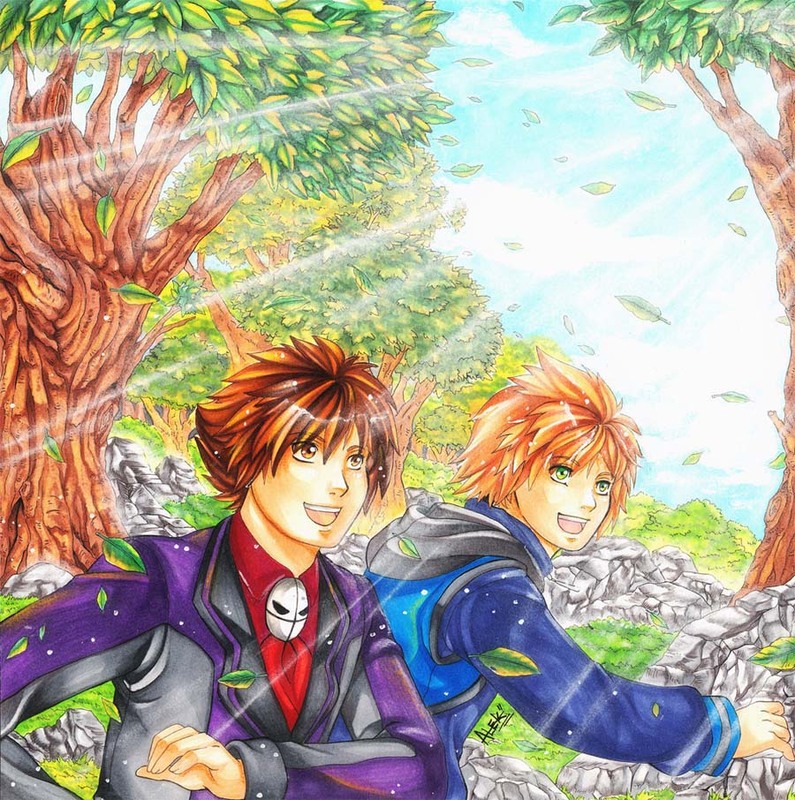 Yuta (left) the main character for Alchemiya, and Shouta (right) a minor character for Alchemiya. Done with copics and prisma markers, some cheap chalk, and acrylic paint. Both Yuta and Shouta are copyright by me. Art belongs to me and should not be reposted.